A rail timetable overhaul billed as the biggest in the UK has begun – but it may leave some users behind. Govia Thameslink Railway (GTR) is rescheduling every train in its franchise, which includes Southern, Thameslink and Great Northern services. However, the RMT union says the roll-out is ‘insulting’ to reduced mobility passengers, who it claims will be left behind if there are risks of delay. GTR said it placed “high priority on making our services accessible to all”. 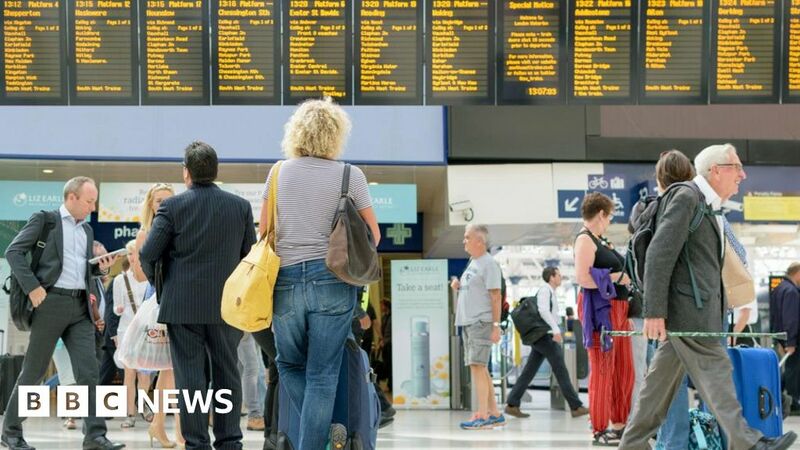 From Sunday every schedule for Thameslink, Southern, Gatwick Express and Great Northern trains will be different in an attempt to improve rail efficiency in the south-east. It will mean 400 extra trains a day and new direct services from 80 stations into central London. GTR has for weeks reminded passengers to plan ahead, check revised timetables and expect their usual services to run at new times. The train operator does still anticipate delays and minor issues with services as staff and commuters adjust and trains and crew are redeployed. The shake-up in services was claimed by GTR chief executive Charles Horton to be “the biggest-ever change to a rail timetables to significantly boost capacity on the UK’s most congested network”. Ahead of the new timetable, the RMT says GTR staff had been given the instructions “DO NOT attempt to place PRM [Persons of Reduced Mobility] on train if there is a possibility of delaying the service” in a booklet outlining strategies for managing the time trains spent stopped at a station. Although the rail company did not deny the existence of such instructions, it said: ” Our policy remains the same which is to offer assistance to all passengers to help them with their journeys. “We have a responsibility to make sure each service leaves on time to avoid knock-on delays, skipped station stops and cancellations to other services which would affect thousands of other passengers, many of whom may also be disabled,” a GTR spokesperson said. GTR is the largest rail franchise in the UK and its commuter services call into London stations such as St Pancras, London Bridge and London Victoria. It has earlier said the schedule revamp will mean some services to and from commuter towns will be reduced, although total network capacity will increase.